ABIDJAN, Côte d’Ivoire, Nov 18 2013 (IPS) - All over the Ivorian economic capital, Abidjan, large cranes, involved in the construction of new buildings and highways, are dotted across the city skyline. 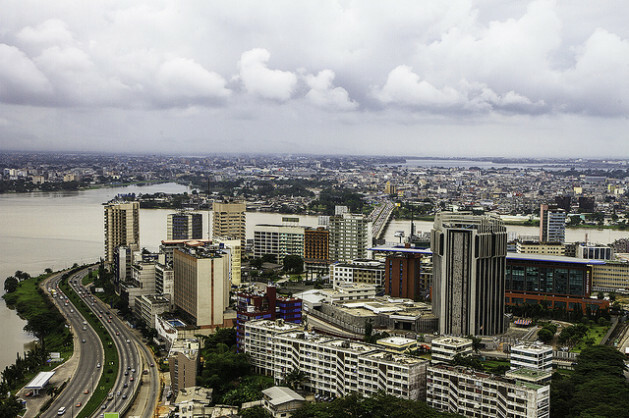 Soon this city, which is split in two by a lagoon, will have a second port terminal, a fourth bridge and several overpasses and other major infrastructure that are expected to metamorphose Abidjan’s landscape. Business is clearly improving in this West African nation. 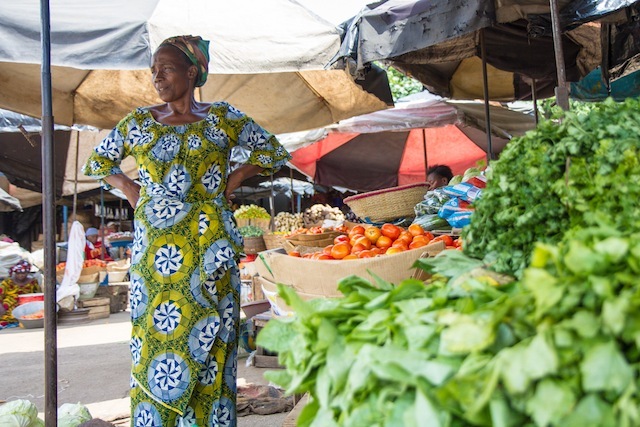 Côte d’Ivoire’s booming business successes have been highlighted by the World Bank “Doing Business 2014” report, where its economy was ranked 20th for having made the most significant improvement in its business environment since 2005. In times of a global economic downturn, Côte d’Ivoire is a rare case. Not only does the country have a positive GDP growth for 2012, but the numbers exceed expectations at 9,8 percent rather than the 8,1 percent forecast by the International Monetary Fund. But while Côte d’Ivoire’s growth may be impressive the world over, its population of about 19.8 million is impatient to see these economic gains transform their lives for the better. Marius Comoe, president of the Federation of Consumer Associations of Ivory Coast (FACACI), is convinced that things are getting worse. “Purchasing power has diminished. Basic food and gas prices have increased substantially,” he told IPS. At the Carena market in downtown Abidjan, women complain about the increasing cost of life. “Ah, it is so expensive. Prices have increased a lot in the last two years. I really have difficulty [making] ends meet. Vegetable prices have increased, but meat and oil are becoming incredibly expensive,” Alice Boue told IPS while selecting a few vegetables to purchase. But vegetable seller Martine Broue argued that while the cost of other goods have gone up, her vegetables prices have not. Prices of vegetables are difficult to track because of the constant fluctuations. The National Institute of Statistics, known by its French acronym, INS, estimates that vegetable prices have increased about 10 percent from October 2012 to October 2013. In addition, cooking oil has almost doubled in price from 1.30 dollars in 2010 to 2.4 dollars in 2013. Meat, which sold for about four dollars a kilogramme (kg) in January 2013 currently costs about 4,6 dollars a kg in some areas. Rice, however, has maintained a steady price over the last year at about 65 cents per kg, according the Famine Early Warning Systems Network. “Spending power is not only about staple goods. Electricity is now double the cost of what it was under [former President Laurent] Gbagbo and affordable accommodation is impossible to find,” explained Comoe. INS estimates that the total cost of energy has increased 6,3 percent in the last year. And these price hikes have also affected services. “Healthcare is two to three times more expensive than it was three years ago,” said Comoe. The cost of education has increased by 25,3 percent for high school and 92,6 percent for university fees. “Several kids cannot go to school because their parents do not have the money to pay for school fees,” Comoe added. Dr. José Coffie N’Guessan, economist and director of research at the Ivorian Centre of Economic and Social Research, explained the contradiction in the country’s rapid economic growth and the lack of improvement for people. “This huge growth rate is not extraordinary, considering that the economy has contracted roughly five percent in the years prior to 2012,” he told IPS. Côte d’Ivoire has faced several crises since the 1999 coup d’état and most recently the 2010 to 2011 post-electoral crisis that resulted in over 3,000 deaths. “We are catching up with the past. [The economic growth] will be remarkable if we are able to maintain those numbers for two to three years,” N’Guessan said, explaining that the majority of the country’s growth was largely due to the necessary infrastructure investments currently being made by the government, which were postponed since the country’s post-electoral crisis. According to the General Confederation of Companies of Côte d’Ivoire, last year about five million Ivoirians were unemployed, with the unemployment rate among 15- to 35-year-olds as high as 60 percent. “Growth will be stimulated by building new infrastructure, but it might not translate into jobs the same way that investments made in factories [do]. So far, Ivoirians do not feel that unemployment is going down,” N’Guessan said. “The population has yet to gain from this growth. The impact is never immediate. It will take a certain time. We have to be patient. Government has decided to reach high to bring wealth fast,” N’Guessan said.